With this Kanex 10' (3 m) High-Speed Ethernet 3D Cable (HDMI10FTKNX) you will be able to watch all your favorite movies with resolutions supported up to 4096 x 2160. 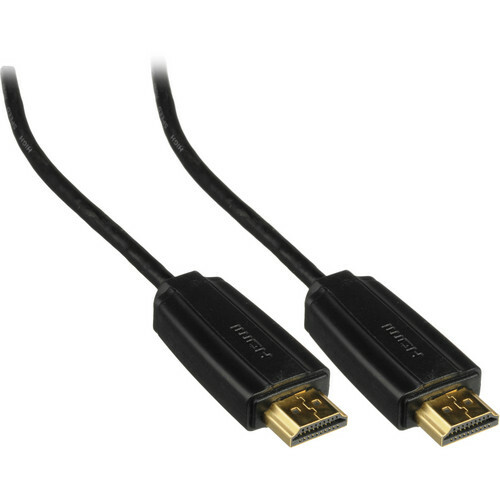 It is fully compatible with the new HDMI specifications. Enjoy 3D movies and games from the comfort of your very own home. With the new Ethernet Channel capability, multiple devices can share an Internet connection at speeds of 100Mbps. Connect your Blu-ray player, HDTV, computer, and other IP-enabled home entertainment devices to the Internet without the need for extra Ethernet cables. This Kanex HDMI cable is ready to meet all your multimedia needs and expectations. Box Dimensions (LxWxH) 7.0 x 6.5 x 1.2"